If you want to give your home a nice patch of greenery, it’s easy to be discouraged the moment you start thinking about all the mowing and watering that you need do regularly. Luckily, artificial grass or turf is now available to homeowners. And as you may have guessed, it’s a big game changer. One of the biggest reasons why homeowners are choosing to go with artificial grass instead of natural grass for their homes is that it is much easier to maintain. It doesn’t matter if the area gets a great volume of traffic all the time. No matter how many times your kids or your dogs run around it, artificial grass would never get ruined. At the same time, this kind of grass readily stays clean. That’s because it comes with a specialized porous backing that readily stops weeds in their tracks while also preventing insects from coming in. And the moment it gets wet, there’s no need to be concerned either because it will always dry quickly due to its drainage system. If you happen to have big backyard in the back of your home, your artificial grass does not need to stay flat. In fact, it’s the perfect material to create some little green, rolling hills with. Work with your installer to create little hollows that your children can enjoy playing in. This design only works with artificial grass since with natural grass, it can present quite a challenge when it comes time to mow. Not sure how you can lounge around in your own backyard? Well, why not creating a seating with some artificial turf. Your guests would definitely be impressed with it. And if you got dogs, they would surely love hanging out there too. Something unique that you can do in order to achieve a contemporary garden design is create a curved bund or bank to have an enclosed central space in the area. Complete the look with some of your favorite flowers and you will finally have a focal point in your outdoor space. Consider these ideas in case you want to something unique and creative with your backyard. You can also check out some landscaping design magazines or ask an artificial turf installation company to get more ideas. 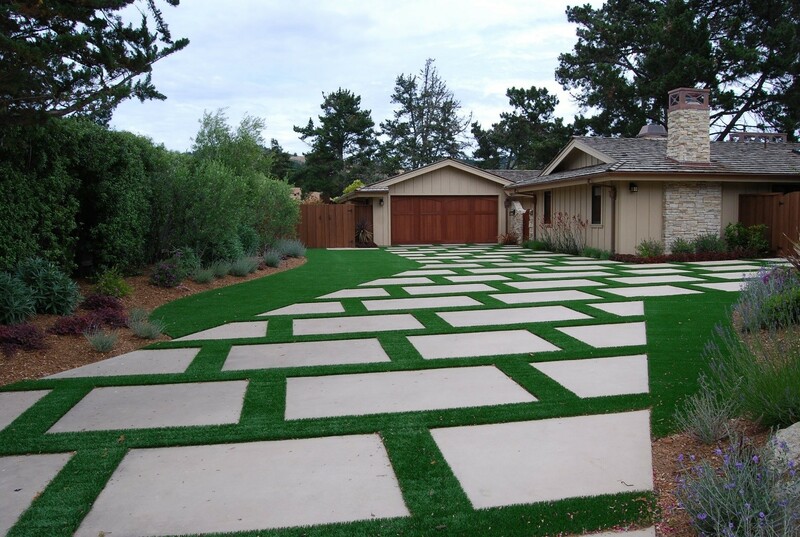 Remember, just about anything is possible when you use artificial grass in your backyard. Let your imagination go wild. Take your time and come up with a design that would make your yard stand out.